Also see Astronomy Live's notes under his video: "Another "YouTube team" goes bust. Don't trust the "secureteam." The only thing Tyler Glockner is trying to secure is money." Tyler has since removed his comment "Bringing home the bacon" but not before we had taken a screenshot and as I write, his photo is still there. He tried to get Astronomy Live's video removed with a DMCA claim to Youtube, but failed because of the "fair use" rule, and he is now claiming that AS posted a private photo of himself and is making legal threats about that, but it was one that he posted himself to the public domain, so he'll fail with that as well. Facebook rules clearly show that anyone can use anything posted to the public domain on their site, without needing permission. Aye James. These days, Youtube is awash with users who post absolute BS so they can make lots of easy money from advertising, donations and sales of t-shirts etc. Especially when it comes to subjects like UFOs, "chemtrails" and "Nibiru." 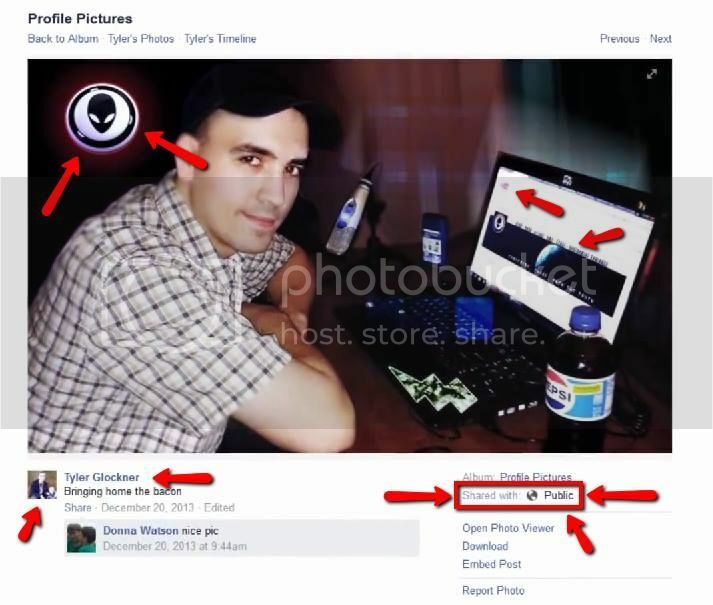 Here's a few more reasons why Tyler Glockner, aka Secureream10 is a total fraud.